GE offers an industry-leading suite of multifunction servers, gateways, RTUs, and data concentrators for automating substation equipment and providing visibility to critical electrical assets found across the transmission and distribution power grids. With support for a wide array of input and output options, a large number of protocols available in the industry including IEC 61850, DNP3.0, and IEC60870 series, and the new built in cyber security features, GE has the ability to connect and integrate your power system equipment with virtually any HMI, SCADA or Energy Management System with the security, reliability and dependability characteristics you can expect from GE substation equipment. G500 Advanced Substation Gateway GE's Multilin G500 substation gateway provides reliable and accurate collection of data from serial or LAN-based intelligent substation devices to master applications. Its cyber security features ensure ease of integration into NERC CIP and cyber security environments while consolidating functions such as Ethernet communications, time synchronization, HMI and SCADA applications. D400 Advanced Substation Gateway GE’s Multilin D400™ is a secure, substation-hardened gateway that collects metering, status, event, and fault report data from serial or LAN based Intelligent substation devices. The D400 summarizes data from the substation devices and makes it available locally/remotely through a standard secure web browser (HTTPS). DAPserver Multi-Function Substation Server GE’s DAPserver is a multi-function substation server designed for managing, securing and delivering substation information to electrical utilities. DAPserver empowers substation operators with the information they need to improve the operability, efficiency and reliability of the power system. DS Agile Substation Gateway GE’s DS Agile substation gateway is an advanced solution for interfacing substation networks with digital control systems, network management systems and area dispatch centers (SCADA). DS Agile substation gateway allows SCADA operators to remotely control and monitor the substation in coherence with the operation of entire electrical grid. It is ruggedized and solid-state-designed to work within stringent substation environmental conditions. D20MX Substation Controller The Multilin D20MX Substation Controller is designed to execute communications and energy management applications for the monitoring and control of electrical substations. The D20MX is backwards compatible with earlier D20 / D200 RTU chassis and installed accessories to enable compliance with NERC-CIP requirements while providing a cost-effective option for extending the life of aging D20/D200 systems. 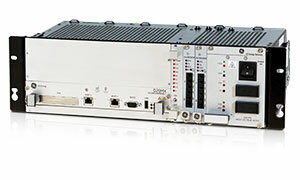 D.20 RIO Distributed I/O Controller The Multilin D.20™ RIO Distributed I/O Controller is a stand-alone, small form factor device designed to provide distributed I/O capabilities for easy connection to the D400 gateway though any point in the substation LAN. The D.20 RIO provides an interface to the Multilin D20 Series of I/O modules. D20E Substation I/O Modules The D20E is the next-generation input/output module for substation automation and SCADA RTU applications, ideal for D20 I/O upgrade. Leveraging the latest technology in microprocessors, communications and applications, GE’s D20E can be deployed with GE’s DAPserver or as a standalone RTU, or integrated with IEDs as part of a complete substation automation system. D25 Substation Controller GE’s D25 is a flexible, modular, and upgradable automation controller, suitable for both large and small Substation Automation projects in either new or retrofit situations. The D25 provides the tools and flexibility necessary to create customized automation and control applications including; communications & data concentrator, automation controller, metering & sequence of events fault recording, and transformer monitoring & control. 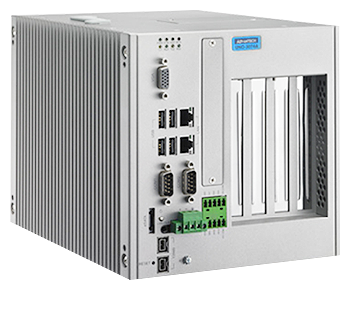 iBox Serial Substation Controller The iBox Controller combines advanced functionality, multiple communication ports and local I/O in a small footprint suitable for both pole-top or pad-mount feeder automation and Substation Automation applications. D20/D200 Substation Controllers The D20/D200 substation controllers offer an industry leading design embedded with high value Substation Automation applications that provide cost savings, increased reliability, and improved operational efficiencies in your substations. The D20/D200 devices act as the gateway to SCADA master stations for IEDs in the station, or for downstream substations or feeders. A large protocol library facilitates communication to most existing substation devices for improved visibility and remote control. DART Distribution Automation Remote Terminal The DART, a pioneer of transducer-less feeder-resident IEDs, has proven to be reliable in some of the harshest conditions on the planet. The entire product family is composed of devices that operate from -40°C to +80°C at 100% humidity without the need for any environmental control. FARADAY tMEDIC System The FARADAY tMEDIC system combines the strengths of a number of GE technologies to form an integrated, scalable transformer monitoring and analysis system. Placing this highly intelligent system at a transformer adds new functionality and value to substation operations.